It’s easy to feel disconnected, as many parents juggle work, school, kids, and activity after activity.With the help of Community services a child learns how giving back is much more than raising money; it is about getting involved, being hands-on, and teaching our students why it is important to help others in need. Our schools have integrated Community Service within the curriculum and are highly involved in their local communities, and our staff is proud to be involved and committed. The Schools choose a variety of local organisations to support through community service projects and fundraising opportunities. These opportunities offer valuable life lessons as our students join their families and school staff members in community service activities. Edify School Community Service Club(CSC) is actively in to the service mode. As a part of this month’s activity students of CSC have contributed and distributed writing pads and stationery kit which is the need of the hour for the board examinations 2019. 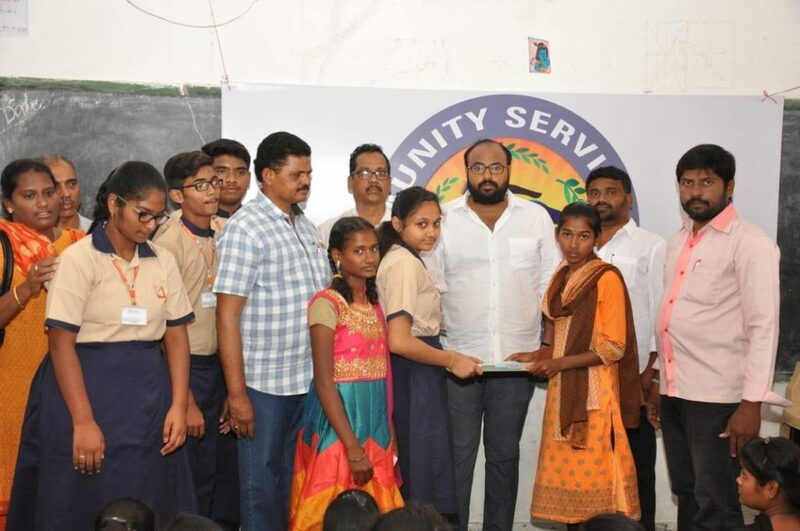 Director Mr.P .Praneeth along with club in charges Mr.Subbarayudu& Mr.Prakash have distributed these among students of grade X at Nehru Municipal school on February17,2019.